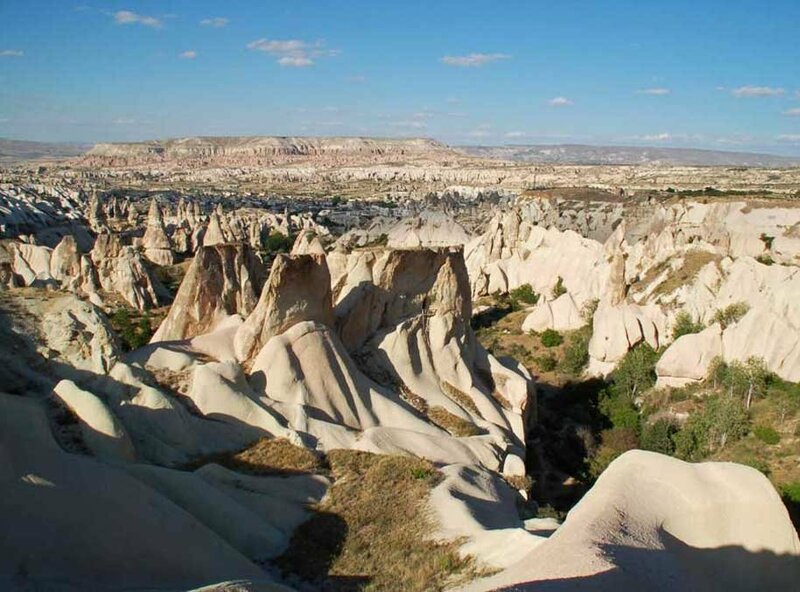 The Private South Cappadocia tour is a great itinerary, which covers the highlights of South Cappadocia. The day will be diversified in the sights you visit along the way from ancient underground cities to the natural beauties of the valleys that scatter the region and the unusual rock formations that make this area so infamous. 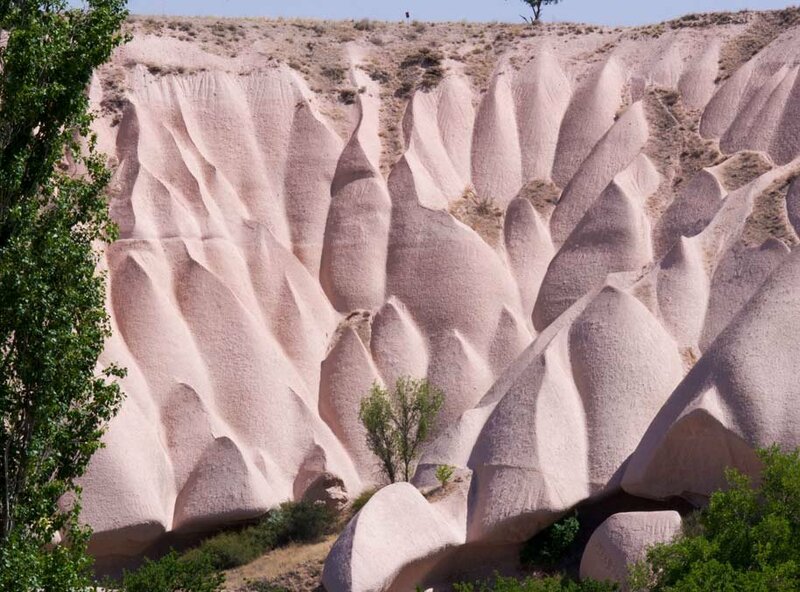 Combined with the Private North Cappadocia tour, you will get to see the best of the best that makes up Cappadocia. Meskendir Valley - trek Meskendir Valley is situated near Ortahisar and is 4400m in length. The Valley contains the Meskendir Church, which is well worth the visit. The ceiling of the Chapel, has a large cross made engraved into it. There are also many geometric red painted embellishments in the church that also look magnificent. There is dining hall in the north of the building. Rose Valley is one of the most beautiful valleys in this region. The valley gets its name from the rose coloured rocks which change colour depending on the time of the day. There is so much to explore within the valley from orchards, vineyards, rock churches and fairy chimneys. 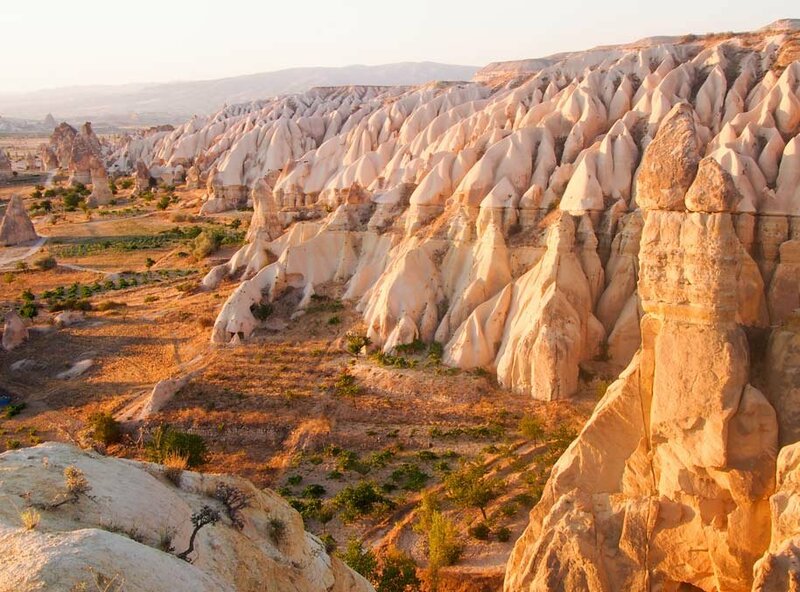 Rose Valley is an absolute must while you are in Cappadocia. Cavusin Village is one of the oldest villages in the region that had cave houses. 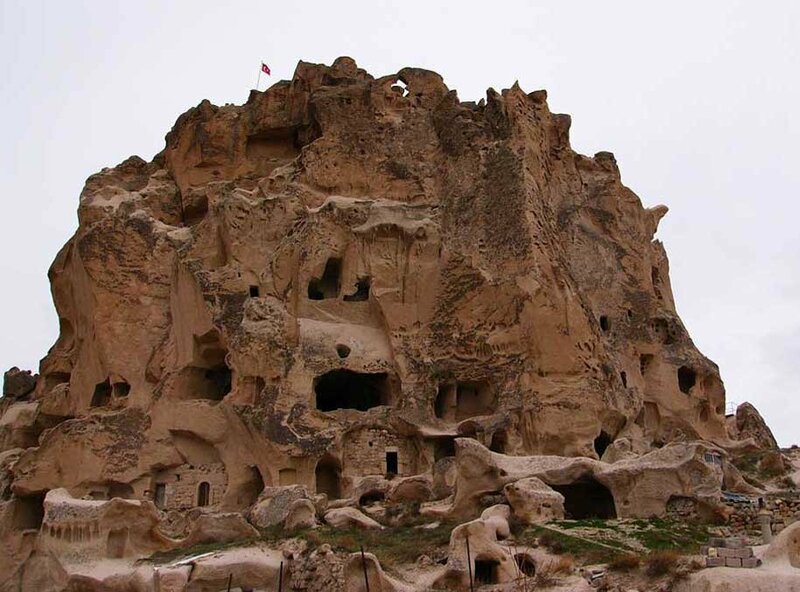 Set apart from the new City the old cave houses are a labyrinth of ruins cut into the rock face. There is also the Church of John the Baptist which dates back to the 5th Century and is the biggest cave church in all of Cappadocia. 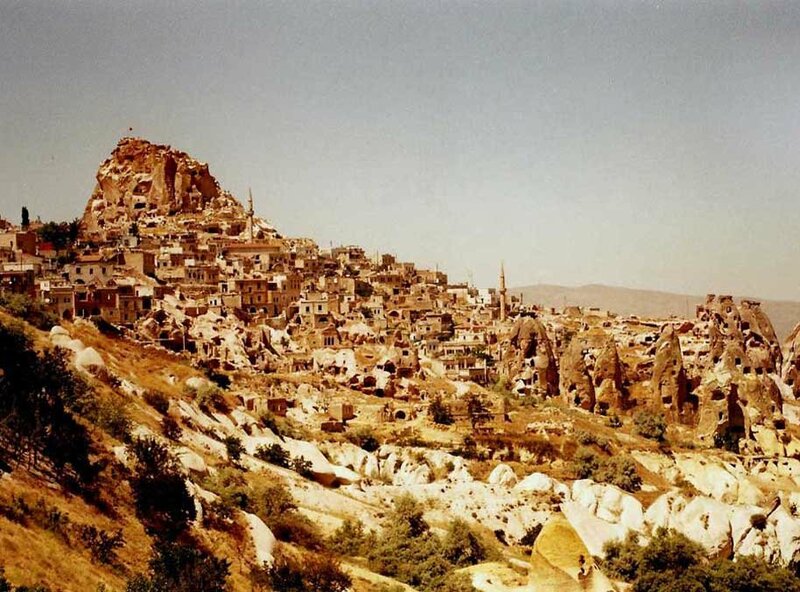 There are a total of 36 underground cities in Cappadocia where the Christians long ago took refuse from persecution. 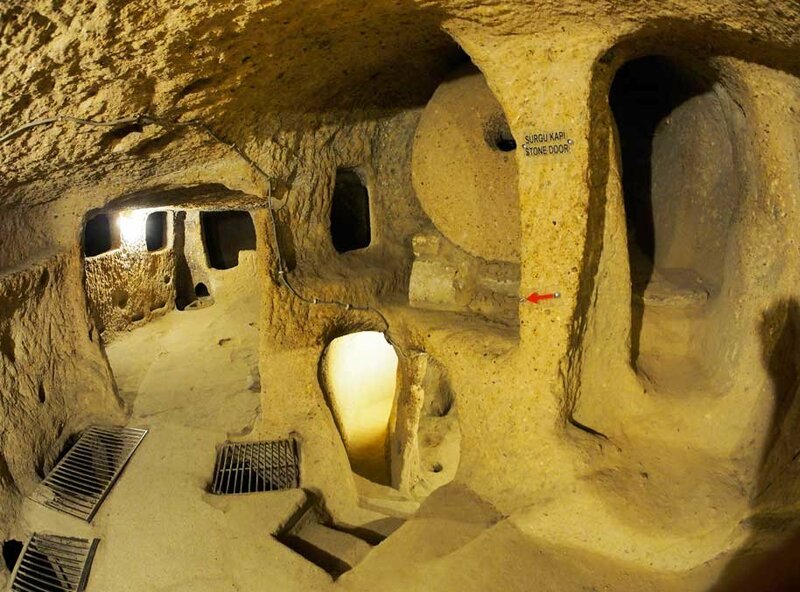 Out of all the underground cities in Cappadocia this is the widest one made. 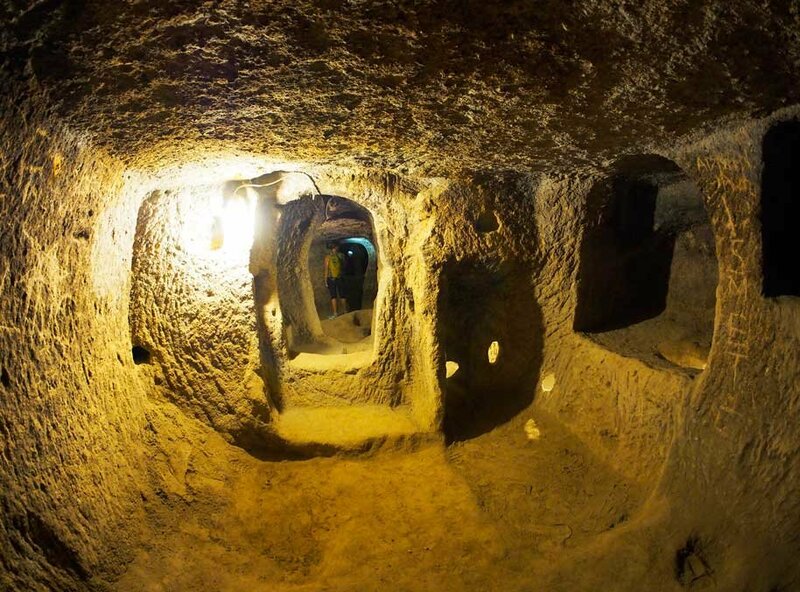 This underground city has 8 levels, 4 that are open for exploring. Inside you can find storage places, kitchens and wineries.